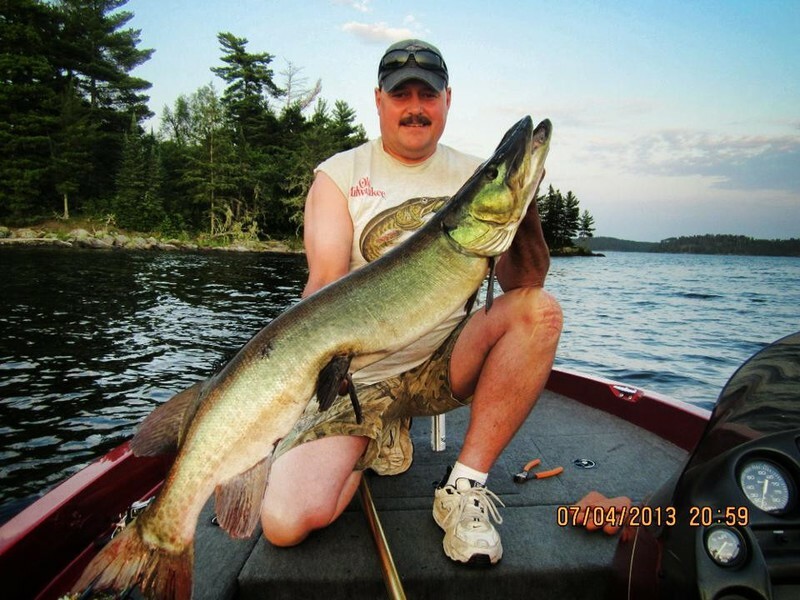 FISHING is one of the most popular recreation events to do in Nestor Falls. 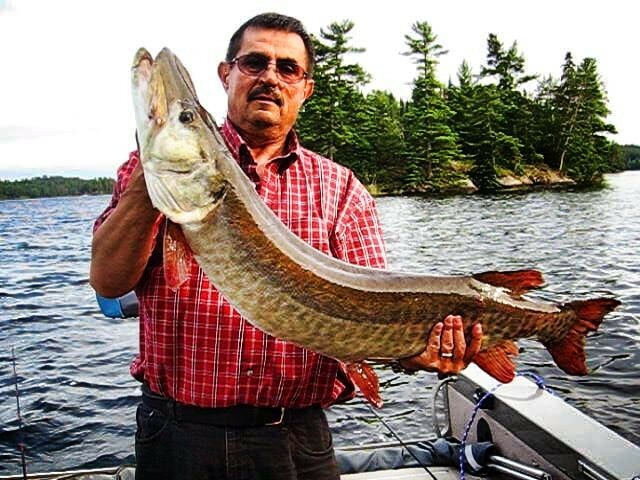 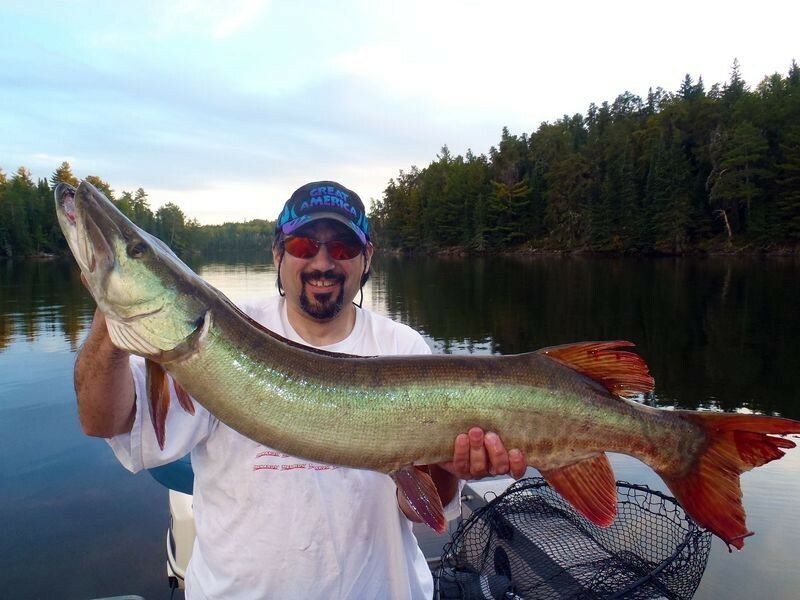 Sunset Cove Resort is located on Sabaskong Bay, where it is known for one of the finest areas when seeking your trophy Muskie! 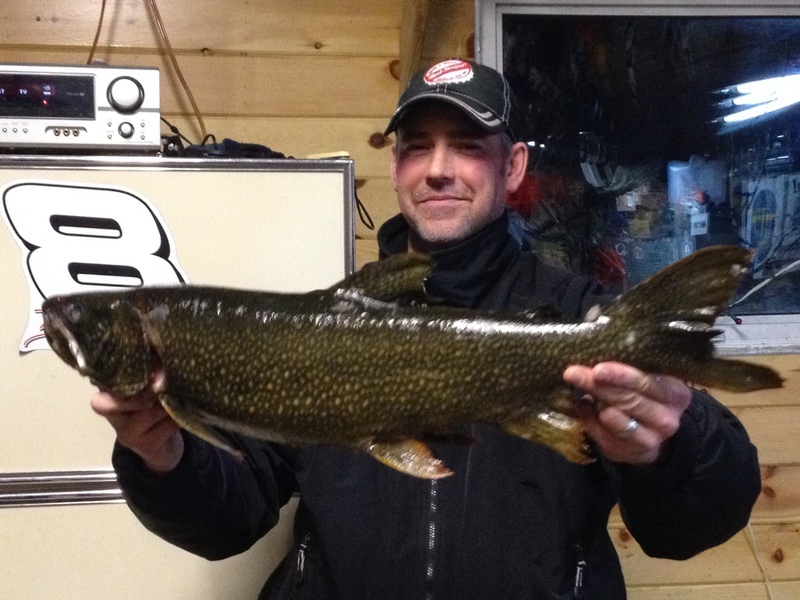 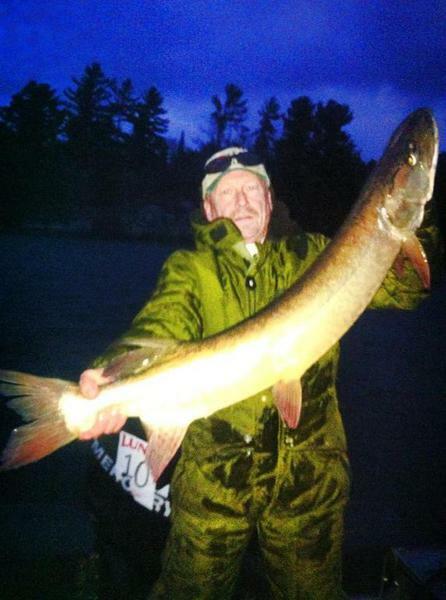 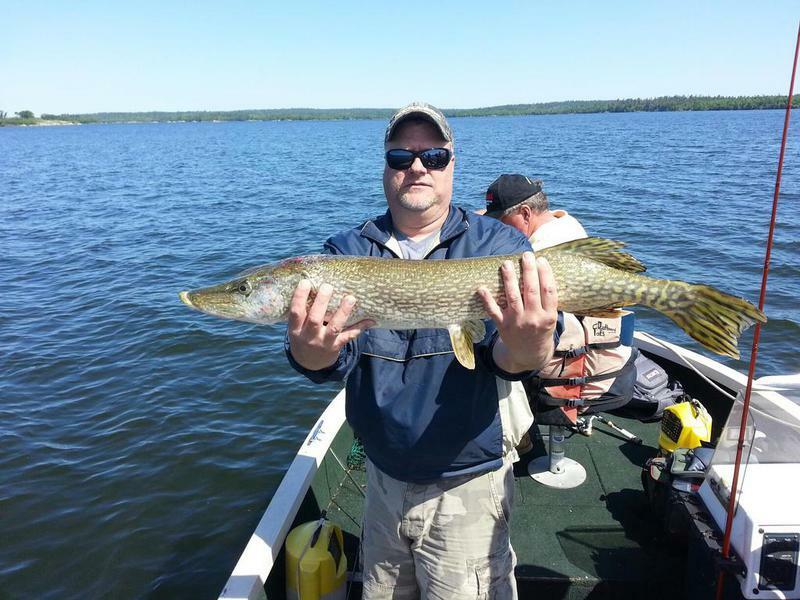 Walleye, Muskie, Northern, Bass, Perch, Crappie…we have it all! 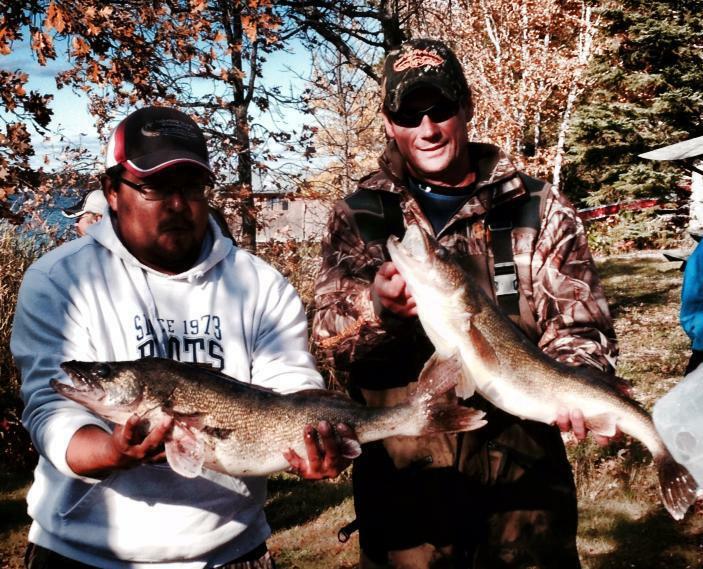 If you are interested in reeling in Trout, Crow Lake,and Whitefish Bay are only minutes away! 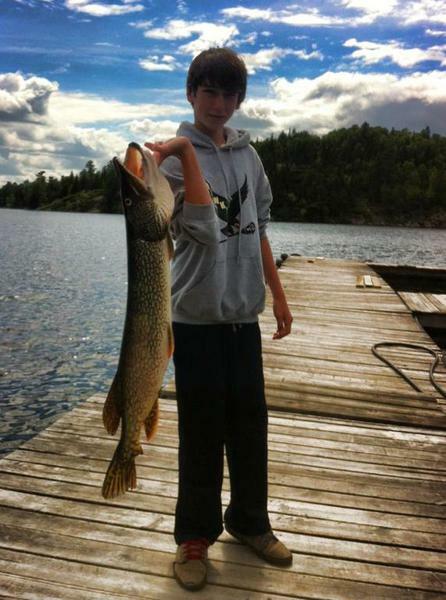 Fishing is what we do, and we do it well! 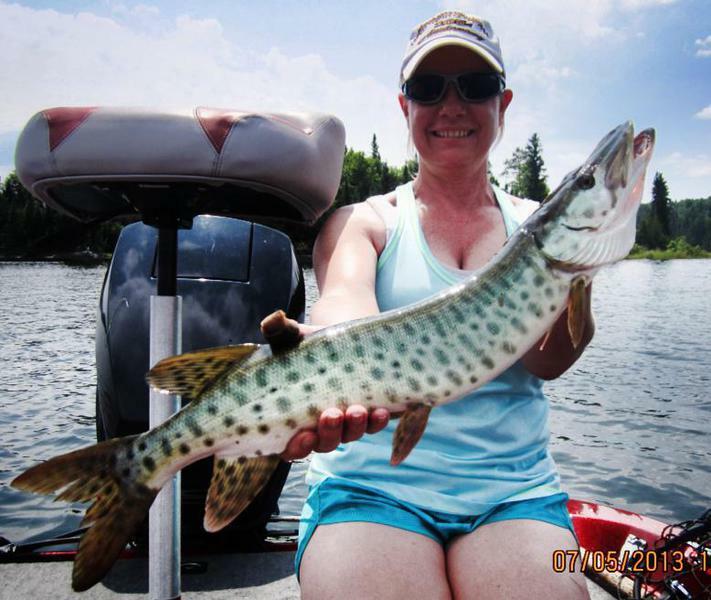 We can tell you our “secret” hotspots, or supply you with an experienced guide! 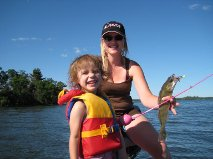 We welcome all anglers, from babies to seniors! 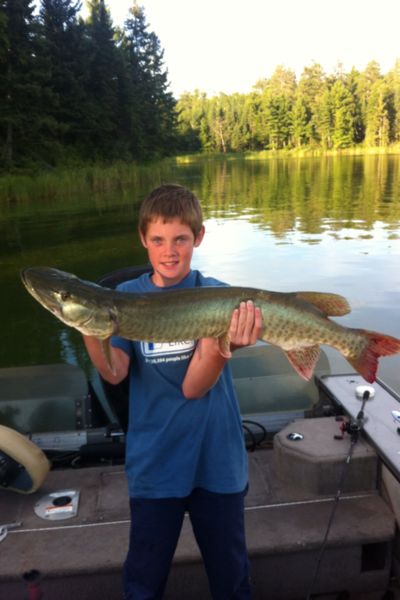 Some of the finest fish have been captured by children, and bring them some of the greatest memories of the their youth! 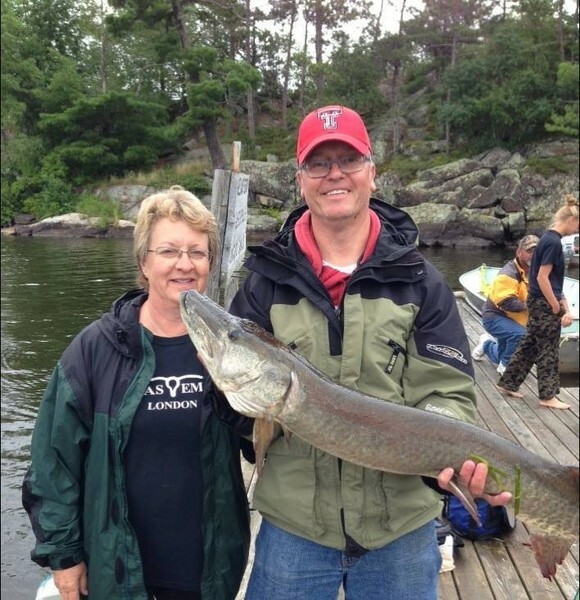 We are experienced in guiding on Lake of the Woods for over 30 years. 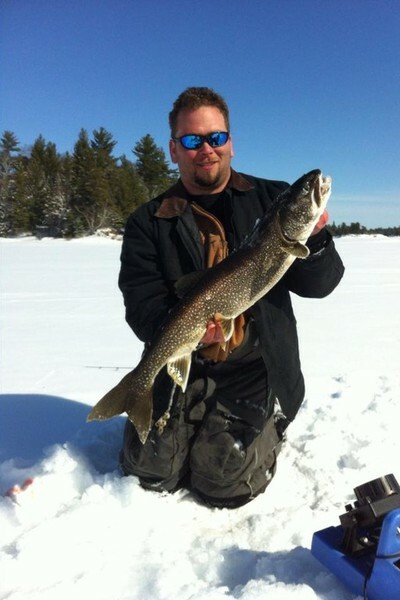 Mike grew up on the Lake and started guiding when he was 13 years old. 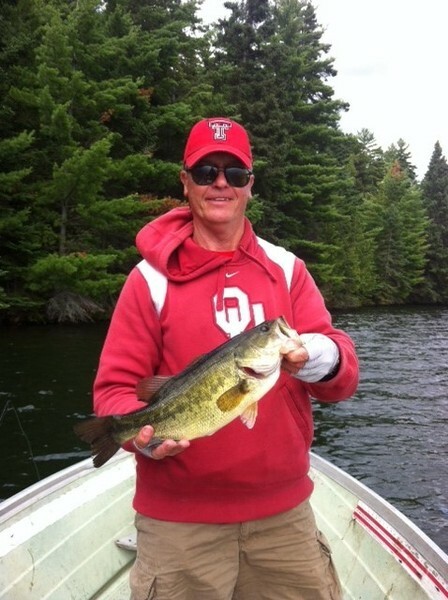 We suggest hiring a guide for your first couple days fishing. 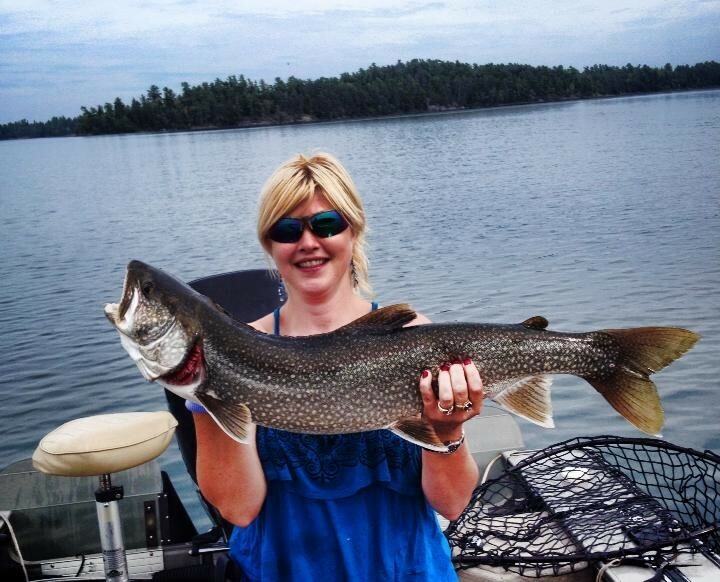 It wouldn't be as great a trip if you didn't book our all inclusive guided fishing trips. 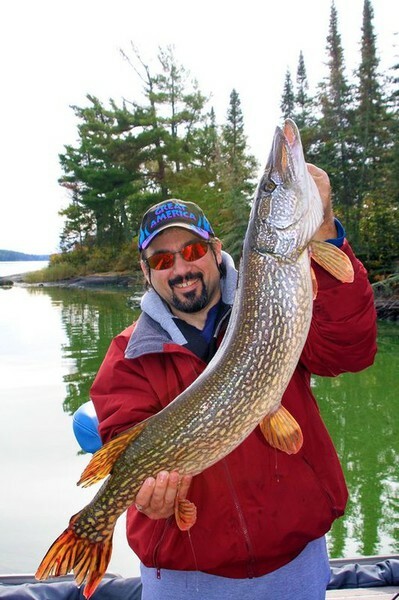 This trip includes a guide, bait, tackle, gas, shorelunch, and an unbelievable day on the lake. 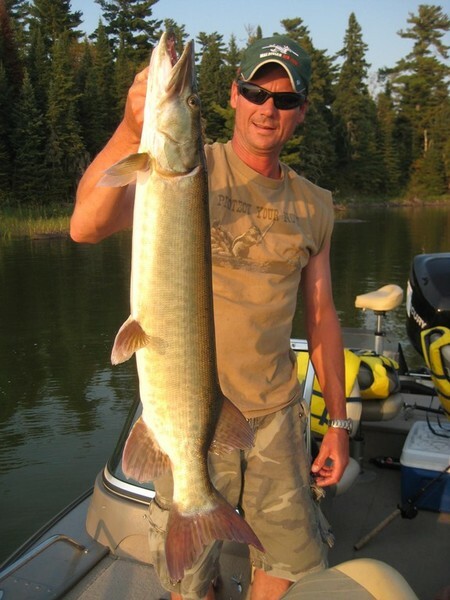 You are welcome to bring your rod and supplies, but we also will include any and everything you need! 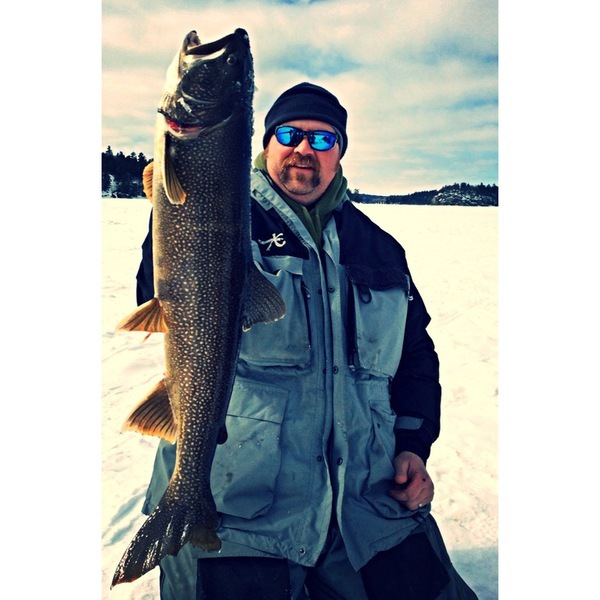 This guided trip includes a full day on the lake enjoying some of the best fishing Lake of the Woods has to offer! 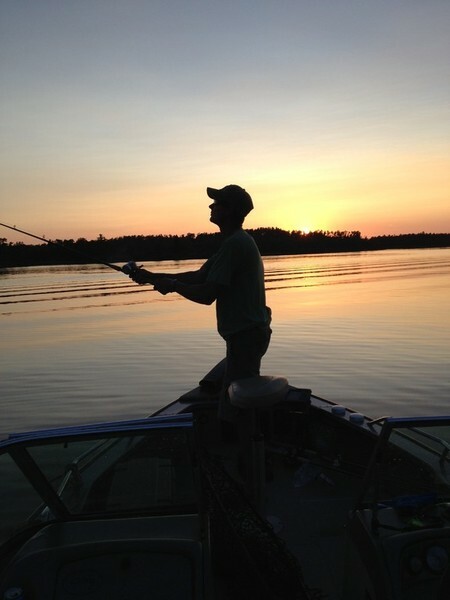 Sit back and let the guide do all the work:) You will take in some of the most spectacular scenery and wildlife our area has to offer.